In entering into any transaction using this website you do so on the basis of the following terms and conditions. The terms and conditions of each transaction type are made up of the specific terms relating to the transaction type and the Common Terms. Please note that more than one set of specific terms may apply to a single transaction and where this is the case you will be entering into a distinct contract for each transaction type. In purchasing e-tickets to register for a ZSL scientific event or scientific dinner you enter into an agreement with the Zoological Society of London, registered charity number 208728 (in this section “ZSL”) on these e-ticket specific terms that incorporate the “Common Terms” on this website applicable to all transactions. When your booking has been confirmed your tickets will be dispatched via e-mail to the e-mail address you specified. It is your responsibility to check prior to purchase that the information you have supplied to us in respect of your e-ticket requirements is accurate. We are only responsible for issuing e-tickets in accordance with the information you provide. Once purchased, neither the person nor event for which an e-ticket has been purchased may be changed. E-tickets are only valid for the date(s) stated upon them. Payments for e-tickets are non-refundable. E-tickets do not guarantee car entry and parking charges are not included within the price of an e-ticket. A Child or Infant must be accompanied by an Adult. ZSL reserves the right, in its absolute discretion, to refuse entry into or remove from an event, any person. has used threatening, abusive or insulting words or behaviour or in any way provokes or behaves in a manner which may provoke a breach of the peace or appears to be under the influence of drugs or alcohol. Storage of luggage and personal property at an event is at the owner’s risk. Containers left unattended may be removed for security reasons. ZSL accepts no responsibility for damage to or loss of personal property brought into events. Guide dogs are not permitted in Attractions – please contact Supporter Services on 0344 225 1826 to make alternative arrangements. ZSL is committed to providing a high quality service to our visitors, supporters, members and customers. We invite feedback because it enables us to ensure the continuous improvement of the services and facilities we provide. The sooner you can get in touch with us, the sooner we’ll be able to help you. Most complaints can be resolved quickly by speaking to one of our members of staff. If they are not the right person for you to speak with they will be able to contact the relevant person for you. By writing to us at Supporter Services, ZSL London Zoo, Regents Park, London, NW1 4RY or Supporter Services, ZSL Whipsnade Zoo, Dunstable, Bedfordshire, LU6 2LF. We aim to respond within 10 working days from receipt of the letter. If we require longer we will contact you to let you know when you can expect a response. If you are unhappy with our response then please get back in touch with us within 14 days by writing to the Head of Supporter Services at the address above. Your complaint will be reviewed and a senior manager will respond to you in writing within 10 working days. ZSL reserves the right to alter the programme for events on any given day due to speaker cancellation. ZSL endeavours to keep such changes to a minimum. Over the course of time, sometimes events have to be changed and therefore may be different to what was advertised at the time of purchasing. ZSL reserves the right to change or cancel ZSL symposia, Science and Conservation Events and Scientific Dinners, for reasons such as the minimum number of participants has not been reached. ZSL will endeavour to notify you as soon as possible. Regrettably, ZSL cannot cover travel, accommodation or any other related costs if it is forced to cancel a date. A full refund will be if ZSL cancels an advertised ZSL symposium, conference or ticketed scientific lecture. ZSL Symposia and ticketed lectures: once a booking has been made, a refund will be made as long as it is a minimum of 10 before the date of the event. Refunds will incur and administration charge of £15. All refunds are made to the card that the event was purchased with. The participant’s name can be exchanged providing ZSL is given a minimum of seven days’ notice. If the person who arrives does not match our records they will not be allowed admittance onto the event. For a full refund an exceptional circumstance is illness/injury, or bereavement. For changing the date, an exceptional circumstance is the same as above plus jury service, mechanical breakdown and severe travel delays. ZSL will require proof of any exceptional circumstance. Work commitments or holidays/trips away from home are not deemed to be exceptional circumstances. Each application will be considered individually. ZSL will allocate places on a first come, first served basis. Please do not assume your registration is booked until you have received your booking confirmation email or letter. You should not make any travel or accommodation arrangements in connection with the event until you have received your booking confirmation by email or by post. Standard terms and conditions of entry into the zoo apply for all participants on our events. ZSL reserves the right to ask any participant to leave the site should they behave in an inappropriate or unsafe manner. ZSL Scientific Dinners: Once a booking has been made, a refund will be made as long as it is a minimum of 10 before the date of the event. Refunds will incur and administration charge of £5. All refunds are made to the card that the event was purchased with. The participant’s name can be exchanged providing ZSL is given a minimum of seven days’ notice. In these terms “ZSL” refers to the organisation or organisations relevant to your transaction as specified in the specific terms relating to each transaction type (the “Specific Terms”). The word “Terms” refers to the Specific Terms together with these Common Terms. 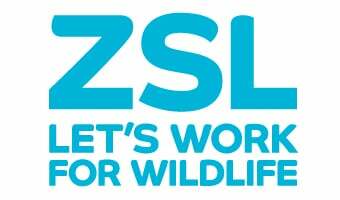 ZSL reserves the right to make changes to its website, policies, and the Terms at any time. You will be subject to the policies and Terms in force at the time that you use the website and or you enter into any transaction with ZSL, unless any change to those policies or these Terms is required to be made by law or government authority (in which case it will apply to orders previously placed by you). If any of these Terms are deemed invalid, void, or for any reason unenforceable, that term will be deemed severable and will not affect the validity and enforceability of any remaining term and the invalid or unenforceable provision will be deemed superseded by a valid, enforceable provision that most closely matches the intent of the original provision and the remainder of the agreement shall continue in effect. ZSL will not be held responsible for any delay or failure to comply with its obligations under these Terms if the delay or failure arises from any cause which is beyond its reasonable control. This term does not affect your statutory rights. If you breach these Terms and ZSL takes no action, ZSL will still be entitled to use its rights and remedies in any other situation where you breach these Terms. You warrant that you are at least 18 years of age and possess the legal authority to enter into any transaction through this website (including instructing us to collect any payments from a payment card or billing account) and to use this website in accordance with the Terms. You agree to be financially responsible for all transactions you undertake through your use of this website (as well as for use of your account by others). You also warrant that you are a resident of the United Kingdom. Other than liability for death or personal injury resulting from ZSL’s negligence, ZSL, its employees and or agents shall not be liable for any loss or damage, direct or indirect, howsoever arising out of or in connection with ZSL’s relationship with you to the extent permitted by law. In the event that the above exclusion of liability is not effective, ZSL’s maximum aggregate liability (save in respect of death or personal injury resulting from ZSL’s negligence) shall be the amount paid by the claimant to ZSL in respect of the transaction out of which the claim against ZSL arose. This agreement constitutes the entire agreement between you and ZSL in respect of the relevant transaction and it supersedes all prior or contemporaneous communications and proposals, whether electronic, oral, or written, between you and ZSL with respect to the transaction. A printed version of the Terms and of any notice given in electronic form shall be admissible in judicial or administrative proceedings based upon or relating to the Terms to the same extent and subject to the same conditions as other business documents and records originally generated and maintained in printed form. None of the Terms shall be enforceable under the Contracts (Rights of Third Parties) Act 1999 by a party other than you or ZSL. These Terms and Conditions ("Ts&Cs") shall govern the purchase of Goods and/or Services by ZSL and may only be varied with the written agreement of ZSL. ZSL reserves the right to amend, edit, modify, alter, change and update the Ts&Cs from time to time. It is the Supplier’s sole responsibility to ensure that it has read and understood the Ts&Cs, as may be amended from time to time.